Two of the most important features of a roofing system are proper ventilation and adequate insulation. If your roof doesn’t have enough ventilation, humidity and heat accumulate in the attic. This makes the rafters and deck rot and the shingles buckle. At that point, the insulation becomes ineffective. For that reason, it’s critical to keep all roof ventilation open and free of encumbrances, regardless of the season. This includes soffit vents, ridge vents and louvers. Correct ventilation keeps moisture from causing damage to the structure. Ventilation also enhances the life of the roofing material and cuts back on consumption of energy, while increasing the comfort of rooms beneath the attic. 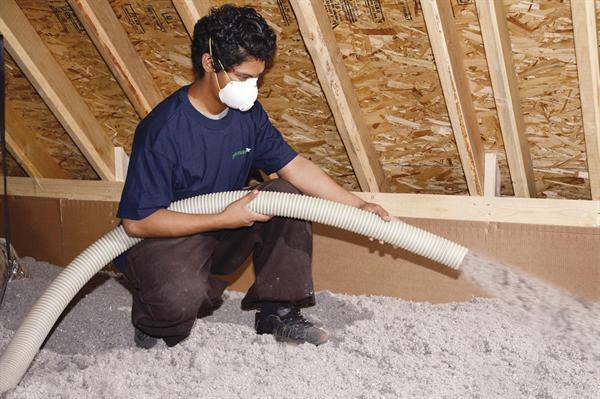 Insulation also has an important role inadequate attic ventilation. A well-insulated attic has these elements. A layer of insulation on the floor of the attic to keep the lower rooms from getting too hot or too cold. Plenty of open area and vented space for the air to flow in and out of the attic easily. A vapor retarder beneath the insulation that prevents moisture from accumulating in the attic. One inch of space between the roof deck and the insulation. The condition of the building, including how much shade it receives, normal humidity levels, and exposure to the sun are all mitigating factors. Regulations will vary, depending on where you live. The standard ventilation formula is that every 150 square feet of attic flooring require one cubic foot of free vent area. Vents must be placed near the ridge by the soffits. Heat rises naturally, and it dissipates through your roof, making your heater work harder to keep your home warm… which costs more. Convection causes heat to escape through your roof. The warm air in your home drifts upward until it reaches the attic. When it reaches the roof, it cools down by convection in the same way a cup of hot cocoa cools down if you place it on a cool saucer. The saucer absorbs the heat from the cup until the cup and the saucer are the same temperature. Foam is a popular insulation that effectively conserves heat. It comes in two forms: boards that have to be cut to fit and liquid that is sprayed directly into the area to be insulated. After the foam is sprayed, it expands to fill the area, which guarantees a tight seal. Fiberglass insulation comes in many shapes and sizes. The most common type is on rolls, but you can also buy square boards. There is also a fibrous form that is mixed with adhesive before being applied by spraying. Cellulose fiber is made with recycled paper and is the most inexpensive and effective type of insulation. The fibers are treated with a fire retardant prior to processing. If you have adequate, fresh insulation, you can considerably cut down on heat dissipation through the roof. The money you save on your heating bill will offset the cost of new insulation quickly. New insulation will keep your home cozy and toasty all winter long. If you want to save money on your heating bill during the winter, you need to conserve the heat that’s inside your home. Texas Star Roofing can install blown-in attic insulation in conjunction with your roof installation, or as an independent project. The best time to increase the R-Value of the insulation in your attic is when your roof is being replaced. We can schedule so as to complete both projects at the same time, so you avoid two separate visits by a contractor and additional time off from work. With energy prices continuing to rise, it just makes good sense to decrease your utility bills and at the same time increase the comfort of your home. Contact us today for an estimate on adding more insulation to your attic. Just complete the form on this page & we’ll get you a fast, fair quote.